The Altman Z-Score is a checklist for identifying stocks that might be at risk of bankruptcy. 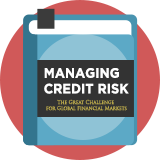 It was created by US finance Professor Edward Altman and detailed in a book he co-authored, called Managing Credit Risk. The Z-Score is a red flag indicator that can be used as a short selling strategy. It analyses five weighted business ratios to estimate the likelihood of financial distress. Broadly, these checks examine a company's asset, strength, profitability, solvency, efficiency and ability to generate earnings. Altman wrote: "The detection of company operating and financial difficulties is a subject which has been particularly amenable to analysis with financial ratios." Tests over 31 years to 1999 found the Z-Score to be 80-90% accurate in predicting bankruptcy one year prior to the event. The Z-Score is one of the components used in another short selling strategy: James Montier Trinity of Risk. Professor of Finance at NYU Stern School of Business. Best known for the development of the Z-Score. Its initial test by Altman found that it was 72% accurate in predicting bankruptcy two years prior to the event, while subsequent examination has shown 80-90% accuracy.